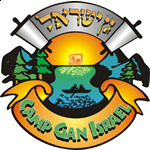 Camp Gan Israel, under the auspices of the Jewish Community Center - Chabad - is part of the largest and fastest growing network of Jewish day camps in the world. Gan Israel enjoys a well-earned reputation as a trendsetter with innovative ideas, creative programs and new activities. Gan Israel is much more than a physical break from the school routine. It’s a comprehensive program designed to strengthen the body and soul. It provides your child with a rich and wholesome summer vacation of fun and excitement along with friendship and meaningful educational experiences. Child development is the most significant ingredient in a healthy camp experience. This is why our staff is the real secret to our success. Our experienced counselors are known for their personal warmth and ability to care for each child as an individual. Each counselor is a role model for our children, their love for the children is surpassed only by the children’s love for them. Gan Israel campers are imbued with a deep sense of pride in their Jewish heritage and a love for the land of Israel. Weekly Judaic themes are taught through exciting activities, stories, songs and games, which are part of the unique Gan Israel experience. Combined with group discussions and educational programs, these events bring to life the beauty and values of our tradition. The safety and security of our campers is our number one priority. Counselor to camper ratios are structured to maintain the highest level of supervision. Staff members are trained in CPR. First Aid and are screened though Live Scan Services. Great supervised weekly “Trip Days” take our campers to local entertainment such as Scooter's Jungle, Angles Baseball Games, Miniature Golf, as well as Nature Hikes, Laser Tag and Amusement Parks. Each Monday a special outside visitor will be brought to camp to bring the fun and excitement of camp to the next level including a Rock Wall, Go-Carts, A Game Truck, Mad Science, and Giant Slides to name a few. Our sports activities are supervised by our Coach and our staff. Through patience and encouragement, children develop sportsmanship, self-confidence and the ability to enjoy all sports. This includes baseball, football, hockey, kickball, soccer and more. All water activities are supervised and safety precautions are strictly adhered to. Instead of going to an actual pool, we bring the water fun to camp in forms of water slides, slip n slides and other similar fun activities. We will be going to the beach twice during the summer where extra safety procedures will be taken. Our weekly program is enhanced with martial arts, cooking, woodworking, art, science experiments, drum circles, carnivals, dress-up days, Shabbat parties, Challah baking, and .. oh... so much more. Under the direction of our experienced crafts director, campers will have the opportunity to design and take home some wonderful Judaica projects. CGI's game room is equipped with games, a ping-pong table, a pool table, foosball and air hockey.